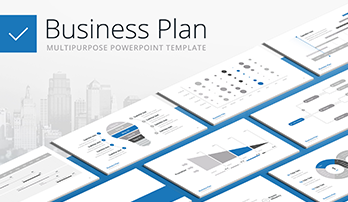 Monthly planner template for PowerPoint - Download Now! The main task of the manager is to effectively influence the production process at the enterprise. The results of his/her activities are assessed by the level of implementation of the enterprise’s production objectives. The time spent on the solving working questions should be considered as the time spent on solving current and future tasks. On the right time distribution, the level of the manager’s real influence on the production process and the efficiency of hisher work depends. In this case, to present a month plan successfully, we can offer you a multipurpose assistant – the Monthly planner template. Why is planning so important? As for managers and company owners, planning is a natural part of their professional life. They are engaged in planning the release of goods, professional development of employees, generating income and much more, but they do not always consider planning as a process. The value of planning is not to ultimately get the final result – the plan. First of all, planning is a process, a process of thinking about the company and your goals and how you achieve them. There is no right or wrong way to plan, but there are some ways that surpass the rest. What you get planning your business. The plan consists of the goals of your company and the actions that you will take to achieve these goals. While you need to set realistic goals, at the same time, it is necessary to understand that the plan can not predict what results you will achieve with its help. Success can be achieved without it, but without a plan, you will never be able to find out what other possibilities you had beyond your current success. The advantage of having a plan is that it gives you an idea of ​​how successful you are. Often companies achieve very good performance results, but they can not explain how this happens. They sometimes even do not realize a whole value of a simple planning. The Monthly planner PowerPoint template is an easy, minimalistic template. It has a professional and calm character that allows you to create a presentation that will attract the attention of your audience from the first slide, and in the process of presentation will achieve a confident climax. A simple, competently organized template layouts provide you with a wide range of opportunities for work. The template is made in a unique minimalistic style, and will help you to present your company and employees adequately. 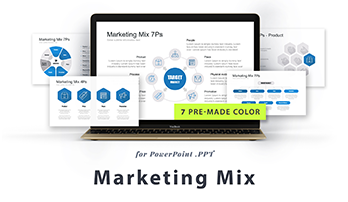 10 ready-made color themes, easy to edit layouts with infographics, a great number of multipurpose content slide (among which you’ll find SWOT, PEST analyzes, Marketing mix models, timelines, pricing tables), dozens of icons. All 50 slides are professionally structured what allows you to present the plan consistently and logically. Using these slides, you’ll get the project where one slide follows another in one thematic flow. If you prepare a monthly plan, this template will be a perfect solution for your project! High quality. An approved excellent quality of the slides remains in any case. If you use high-resolution displays, the template won’t have any visible defects. Built-in tools. The slides include many useful built-in tools and necessary vector elements which are easily edited in a few clicks. This option makes your work more convenient and extends the range of possibilities. Modern design. For skilled managers, employees, it is a well-known fact that design is able to present your project and you at its best or ruin even the most informative presentation. Therefore, to this template, we applied a modern popular minimalistic design that perfectly suits business conferences and marketing meetings. A multipurpose template. These slides can be widely used to present a monthly plan of the company. A set of slides and tools are professionally combined, thus, here you have all you need to present necessary information. Premade easy-to-use slides. The first point is that any user is able to work with the template. It is easy-to-use. The second thing is that you have the opportunity to save time and simplify your responsibilities. Your work will boil down to inserting necessary information and other materials. 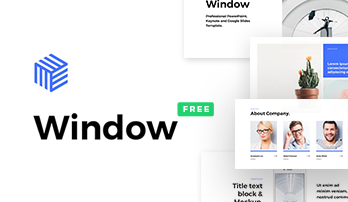 Content slides are fully ready-made. The third option is that with this slide you’ll create a good reputation, impress the listeners.